Brody Heating Air Conditioning & Electrical Contractors, Inc. While neighbors in the north and to the east might spend their time worrying about heating costs and furnace efficiency, in Los Angeles, air conditioning is often a more pertinent matter. Though the area is known for its consistent and pleasant weather most of the year round, a Los Angeles air conditioner is still going to get some moderate to frequent usage; this, in turn, requires homeowners to inspect their systems regularly, and of course, repair or replace their units as needed. Even if your air conditioner is running fine, and has been for several years, getting an inspection of the system is still a good idea. In fact, an annual check-up for systems that are in good shape could mean the difference between keeping your house efficiently cooled, and really feeling the heat once a small problem becomes a large one. In addition to being able to repair systems that are already broken, a certified Los Angeles air conditioning specialist will be able to diagnose potential issues that could lead to high-priced repairs in the future. Additionally, homeowners can perform some minor maintenance themselves that will both keep your air conditioner running its best, and cost very little, in most cases. Visually inspecting the condenser, which is the part of the system that is on the outside of your home, replacing the air filter, and removing debris from around the condenser are all extremely easy and quick tasks that can increase efficiency as well as give you a heads up if a larger problem might be present. Though far less effective or efficient than central systems in the majority of instances, for some older buildings in Los Angeles, air conditioners placed in a window or opening in a wall are the easiest solution for reducing high temperatures. Unfortunately, most of these simply cannot handle cooling more than one room at a time, so having multiple units may be necessary. If you've been told, however, that your home is simply too old to have central AC installed, in recent years innovations in ductless and mini-duct technology may offer you an alternative. Mini-duct air conditioners, in particular, are very efficient, and take up far less space than a conventional system. For structures that lack the room for the massive amount of ductwork that used to be a necessity for central air conditioning, these systems might be a more effective and efficient solution to cooling problems than having several window or wall units. HomeAdvisor keeps records of every home improvement project we process to give our users a better idea of the cost and duration of any job they begin. Our figures show that, when it comes to installing central air conditioning, Los Angeles prices are far higher than the national average of about $6,000. The highest cost we have on record for this service so far is $14,000, while the lowest is around $3,000. The difference suggests that central air can be installed in L.A. for a reasonable price, but that many jobs in the area are performed on larger structures than in most of the country. 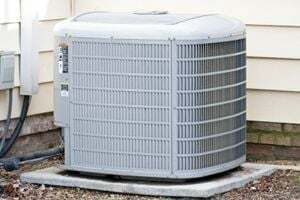 Los Angeles air conditioning repairs range in price from $50 to a little more than $1,000. Installing a window unit comes in at around $600, but remember this will probably only be able to keep one large room or two small rooms cool. Comment: Condo unit in Brentwood. Comment: Installing a window AC on 3rd floor. Comment: My house was built in 1948 and currently has only a floor furnace. I'm interested in converting to a forced air heating/cooling system, or possibly just adding ductless air conditioning. Los Angeles HVAC & Air Conditioning Contractors are rated 4.76 out of 5 based on 4,117 reviews of 90 pros. Not Looking for Air Conditioning Contractors in Los Angeles, CA?